Keeping it simple Thomas Sabo men’s and women’s lines (top and centre), and a new collection by James Derby of London. Two watch brands’ latest designs illustrate that simple faces are still in vogue for spring–summer 2018. Long established Bavarian brand Thomas Sabo’s new Rebel at Heart designs, hitting stores in January (online and offline), have relatively simple faces, with thinner hands for the women’s designs, and thicker ones for the men’s. It’s in the dials and bracelets where Thomas Sabo has opted to get more complex, injecting a rugged retro look to the men’s designs, with the company aiming for classic proportions and shapes. However, the women’s bring in a sense of luxury and strength, blending classicism with avant-garde design: the dial edges have a diamond-cut appearance, and in some cases they are actually bejewelled, while there are rivets on the bezel and crown. The stainless-steel bracelets are also complex, with a pyramidal appearance. 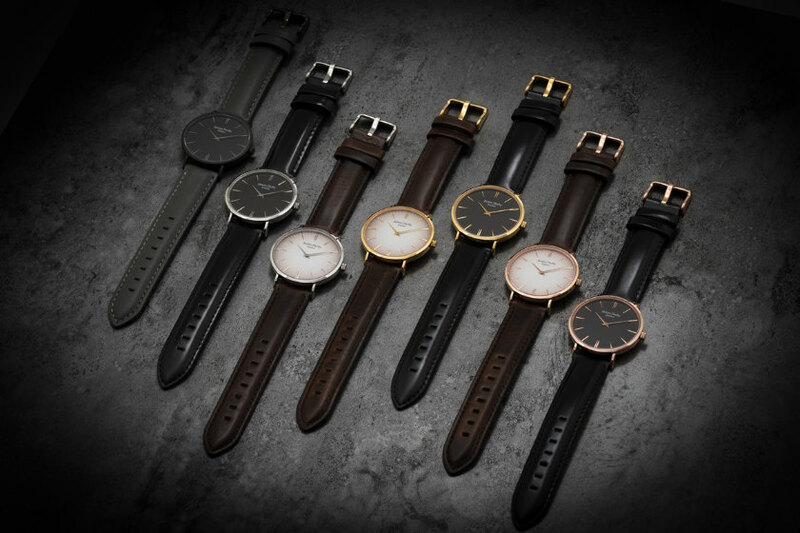 A brand without the 30-plus years of history—it was founded in late 2016 by James Harrower—UK-based James Derby has approached watch design also with simple face designs, and putting the more complex design details into the genuine leather straps. 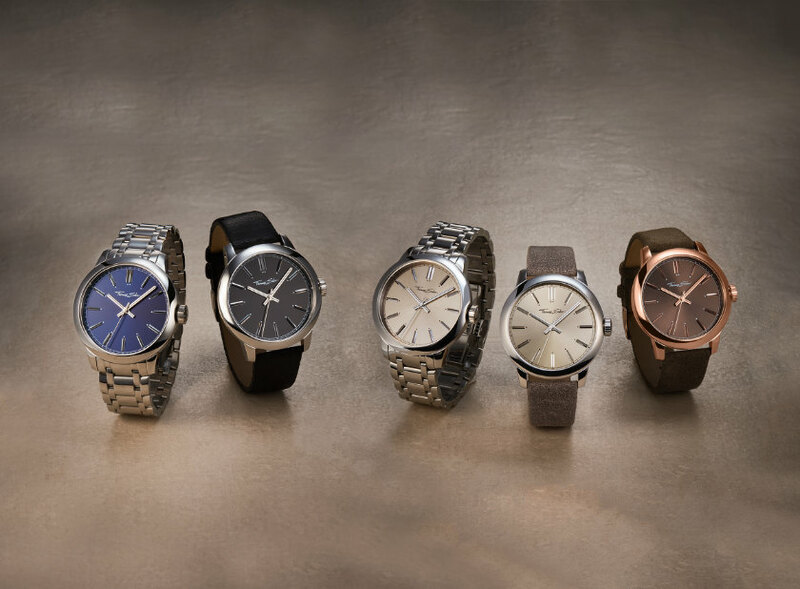 The emphasis is on style and affordability, after Harrower failed to find the right watches at the right price. 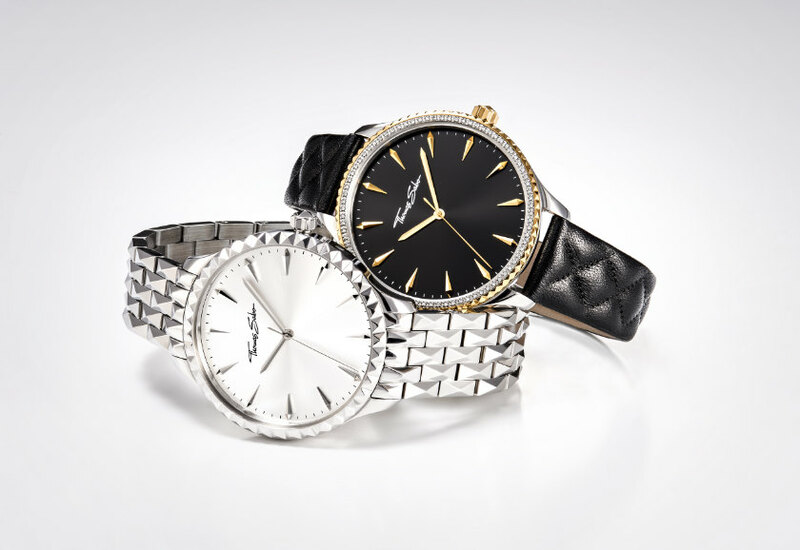 The James Derby classic range for men and women sees British design blended with Japanese quality (in the movements). It’s early days for James Derby with this launch collection, which is on-trend (we like the all-black model). Harrower promises to ‘disrupt’ the industry. More can be found at James Derby’s website. Above: Campaign images from Thomas Sabo.